Welcome to the world of Bacca da Silvac, where tradition combines with the latest in urban influence. Founded in 2004 by the Brazilian born Bacca, the up-and-coming international fashion house Bacca da Silva focuses on incorporating international style and elements of luxury into every day life. Bacca views luxury as a way of living, and emphasizes this emotion in his pieces by combining fine fabrics and elements of hand work into expressions of style and global influence within each seasons' memorable collection. Bacca da Silva excels at transforming commonplace and accessible pieces into unique and challenging works that give the wearer a sense of individuality and sophisticated, yet playful style. One is not to pass unnoticed while wearing a piece designed by Bacca - such as the stylish cashmere sweaters, the one of kind hand-embroidered women's dresses and tops, and the mid-length textured cashmere trench coats dramatically lined with 100% vibrantly-colored silk. Bacca believes that true understanding of luxury comes in the smallest attention to detail both inside and outside of each garment. Based on the principle of global luxury, each season the company works with professionals from around the world to bring a unique and truly international flavor to every collection. In crafting the collection, Bacca employs luscious fabrics, and in some cases hand-operated looms, to achieve that special and unique look. The expression, the world is your backyard, is taken literally by Bacca da Silva. Based in San Francisco California, the company utilizes material suppliers and craftsman from around the world and views fashion conscious clients from around the globe as its customers. In addition to its California headquarters, the company also has representatives in Brazil, London and Beijing. While searching for a symbol that appropriately represents the brand identity of Bacca da Silva, the designer was intrigued by the idea of timeless and temporal beauty combined with a hint of the exotic. Bacca found that the scorpion, an ancient species that has populated the Earth virtually unchanged over several millennia, would form an excellent cornerstone for his brand�s visual cue. 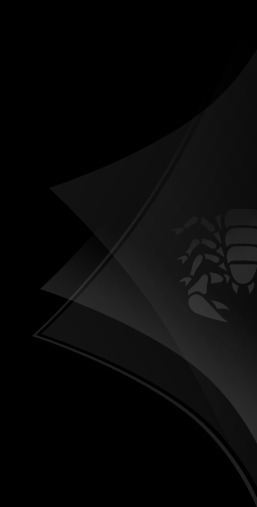 In the company�s trademarked logo, twin scorpions guard the creative essence of the company and underscore the determined, forceful, emotional and passionate nature of the brand. The unchanging nature of the scorpion emphasizes the timeless concept of true luxury that is strong enough to resist the unsustainable seasonality of fashion. Bacca da Silva strives to offer collections that, while traditional, have that urban twist which combines to offer the client an element of timelessness. This, then, is the everlasting spirit and symbolism underlying the Bacca da Silva brand.